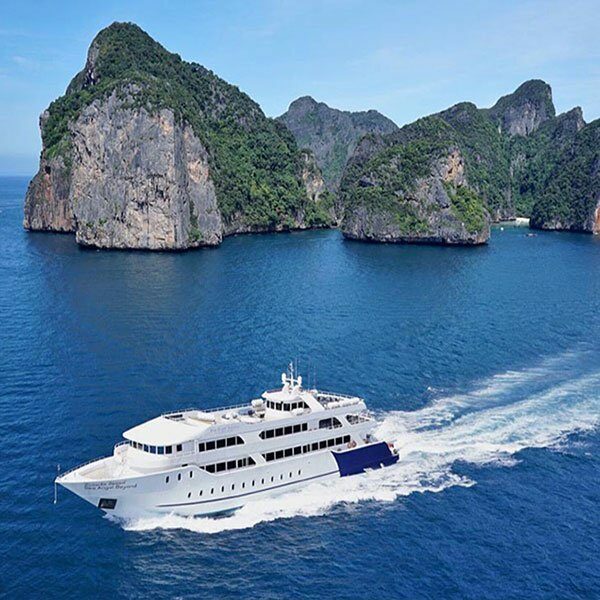 4 Islands Phi Phi Bamboo Tour. This is another action packed day out on a lovely speed boat. 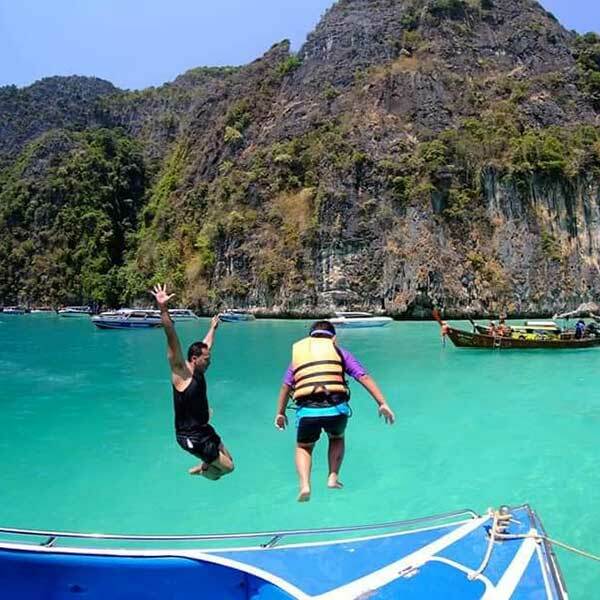 This 4 Islands Phi Phi Bamboo Tour will also take you to the Khai islands for a refreshing swim and some snorkeling, Yao Yai island for a great lunch and a bit of relax time. 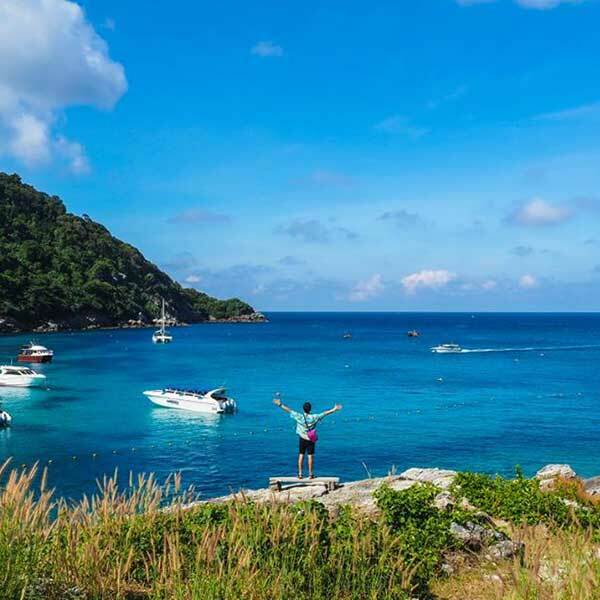 Phi Phi island, Monkey Beach and Pileh Lagoon are just a handful of the other locations that you will get to visit on this trip, plenty of photo opportunities so you can save all your memories of this day. Check out this trip and many of the others that we have to book. 08.00-08.30 Pick up from hotel and transfer to Park Hopper and Pier by join minivan. 08.40-09.00 Arrival to the Private Pier, Check in and welcome drink, coffee and tea and meet the guide for tour information. 09.00-10.30 Departure from private pier it only take 15 minutes to explore by speedboat to Khai Nui Island, Enjoy snorkeling and swimming. 10.30-11.00 Move to Khai Nai Island for sightseeing. 11.00-13.00 Move to Yao Yai Island for relaxing on the beach and have buffet lunch at private restaurant. 13.00-15.30 Sightseeing to Ton Sai Bay and Monkey Beach for take a photos. 15.30-17.00 Explore to Phi Phi Lae, begin with Viking Cave, Pileh Cove, Loh Samah Bay and relax at famous and popular beach Maya Bay. 17.00-18.00 Return back to Phuket and welcome you with easy BBQ. 18.00-19.00 About time to arrive at your hotel. Full day Racha Raya Coral island Tour. If you are looking for an island hopping trip where you can also do some other water activities like parasailing and riding on a banana boat for example, then take a look at this trip. Bring your energy, you will need it.